We receive many inquiries at the Museum of the City of New York regarding rights and reproductions for objects in our collections. Below are some frequently asked questions and responses. How do I license images or order prints from your collections? The easiest way to license images from our collections is via our online Collections Portal. More information about how our portal works can be found here. You can request images by adding them to the cart. Be sure to hit “Request Authorization” at the bottom of the cart page, otherwise we will not receive your request. Normal processing time is within one to three business days from the time you place your request. A cost estimate will be emailed to you for approval. Upon written confirmation from you, we will authorize the order for download and you will receive an email with payment and high-resolution file download instructions. How much does it cost to license an image from the Museum? Licensing fees depend on how you plan to use the image. You can obtain pricing information by submitting a request through the Collections Portal as outlined above, or you can email rightsandrepro@mcny.org. Stay tuned for an upcoming fee schedule that will be available on the Museum’s Rights, Reproductions & Licensing webpage. How can I pay for images? The Collections Portal accepts payment by credit card. If you wish to pay by check, money order or wire transfer, that can be arranged, but please notify us in advance of placing the order, as the process is a bit different. How should I credit the images? Credit lines will be provided on the cost estimate and final invoice. 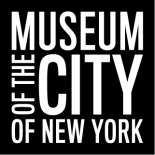 The Museum’s standard credit line format is: [Name of creator] / Museum of the City of New York. [Accession number]. I’d like to reproduce an image in a school paper or in the classroom. Do I still have to license the image? You may use low-resolution copies of images downloaded from the Collections Portal free of charge for personal use, or for non-commercial use such as academic study or research. Please use the credit line format noted above. How large are your high-resolution files? High-resolution file specifications can be found in each catalog record. I need a larger file size than what is noted in the catalog record, what are my options? Email rightsandrepro@mcny.org – custom photography is possible for certain objects. The cost of this service will depend on the object itself, as well as the desired file size and your deadline. Permission to use an image is based on the rights stated on the invoice. No image can be distorted in any way, whether by rotation, inversion, change of proportion, color alteration, superimposition, animation or any other method without prior approval from the Museum. Are there any other restrictions on using your images? What if I’m interested in an image you are unable to license? In many cases, we can still provide a high-resolution file, but as the end user, you are entirely responsible for clearing any rights that may be vested in the image. We will provide the fullest extent of information we have for the object. Do you have restricted collections? Yes. Reproducing images from the following collections requires permission from the rights holder, for which the Museum can provide contact information. This list is not exhaustive, but the collections listed below have generated the most interest. Thank you for your interest in the collections of the Museum. Any inquiries not addressed here can be sent to rightsandrepro@mcny.org – we look forward to hearing from you. New York and Chicago. History is the most telling witness. This entry was posted on May 2, 2017 by Lauren Robinson in Costumes and Textiles, Digital Project, Furniture and Decorative Arts, Institutional Archives, Manuscripts and Ephemera, Maps, Paintings, Photo Archive, Photography Collection, Portrait Archive, Postcard Collection, Print Archive, Print Collection, Sculpture, Theater Collection and tagged Licensing, Rights and reproductions.